A couple weeks ago, I had the opportunity to use Put Me In The Story to, well, put me in a story. Put Me In The Story is a company that works with big companies (like Marvel) and authors, to make books that are more immersive and interactive. I’m so grateful for this opportunity; I’ve never felt so important while reading a book! 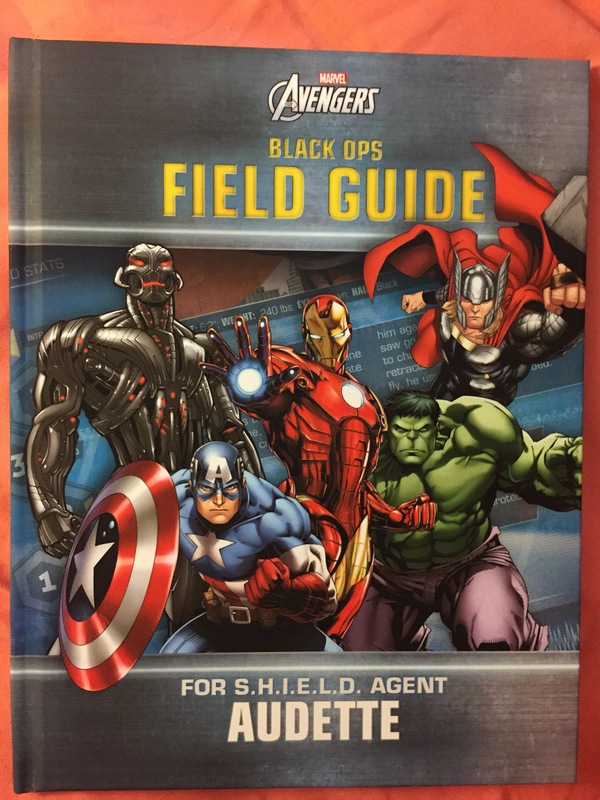 The book that I received was the Marvel Avengers Black Ops Field Guide. The book is a file that has been given to me, an Agent of SHIELD, so that I can evaluate the Avengers, and some of their deadliest foes (including Ultron and Thanos). Everything about the book makes me feel like I’m actually a Field Agent, and my opinion on these characters is important; if it made me feel that good, imagine how it makes children feel. The cover of the book even says “For SHIELD Agent Audette,” which is just so darn cool. Then, on each page, it is addressed to me, as the top of every other page reads “Agent Audette’s Secret Report. Attention // this form to be filled out only by Agent Audette,” and I feel really important with it! 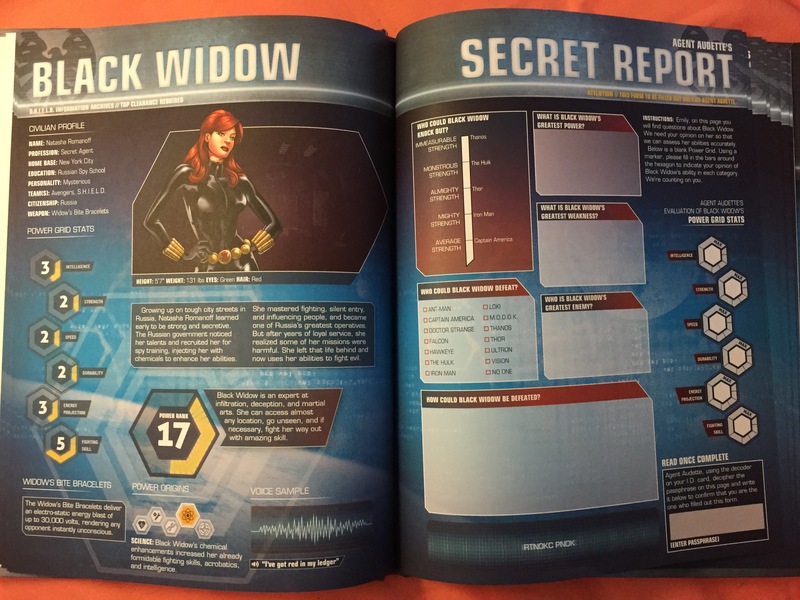 There are two pages devoted to each character (Ant-Man, Black Widow, Captain America, Doctor Strange, Falcon, Hawkeye, Hulk, Iron Man, Loki, MODOK, Thanos, Thor, Ultron, and Vision); one with basic information on the character, and the facing page is a report to be filled out by me, with my opinions on the abilities of the character. As much as I thought writing about the characters would be fantastic, I was nervous about writing in the book, so I have yet to do that. And I thought that was it, but there’s also a page where it’s my job to fill in statistics about myself, and show how powerful I am. I got the biggest smile on my face when I got to that page. I think with children (the book’s intended audience), that page can really boost their self confidence, which is incredibly important. Though this book is intended for children, it is the coolest thing. I know a couple adult Marvel fans who will be getting this for the holidays. 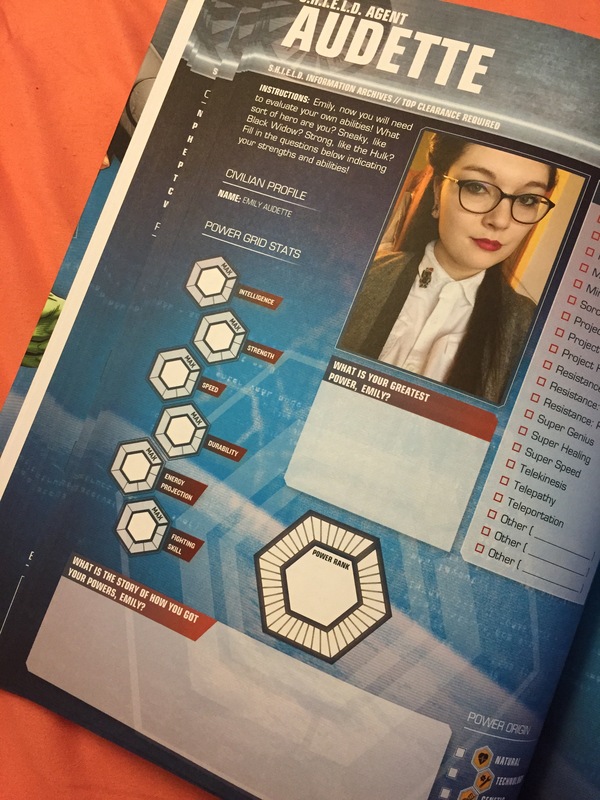 The book has a SHIELD ID card in it, which is beyond phenomenal. That bad boy is going directly in my wallet. Since I got the book for myself, I had the pleasure of choosing my own picture for my ID card and statistic page, along with filling out a short form with my information (first and last name, gender, hair and eye color, and birth date). I also got to dedicate it to myself, which means my field guide is from Peggy Carter. When I order it as a gift, I’ll just have to remember it’s not for me again! Altogether, I think this was one of the coolest books I’ve received. 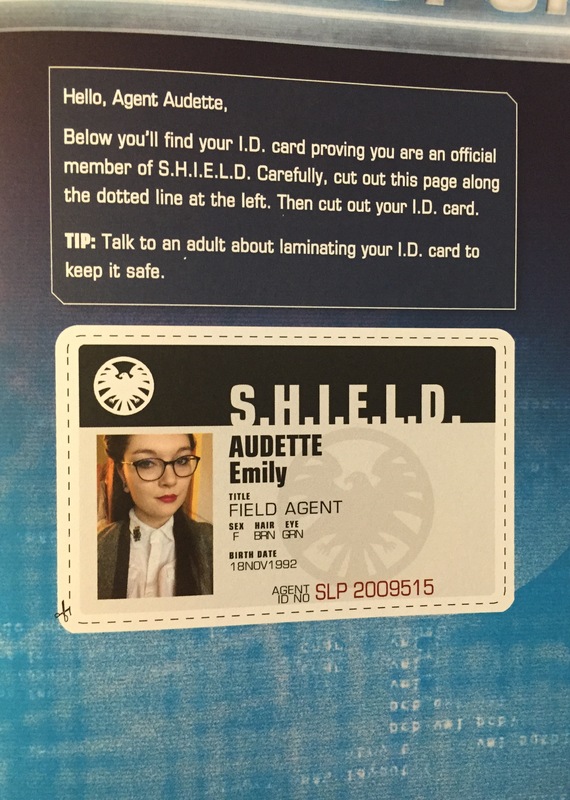 It had a good amount of information on the main characters, and made me feel like I really was a part of SHIELD (and now I have an ID card that says I am, so there). I would love to see a longer book, in the future, with more characters, especially more females (Captain Marvel, Kamala Khan, America Chavez, Wasp, and She-Hulk would make great additions), but this book was amazing at concentrating on the main characters. I know it may be a bit early to think about the holidays, but this is something that I really recommend for the Marvel Fangirl or Fanboy in your life. It’s a book devoted to them, and how important their thoughts are to SHIELD; who wouldn’t love that? You can order and personalize your very own Black Ops Field Guide here!